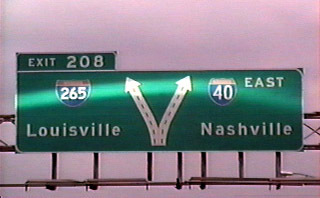 Interstate 265 was a short connector between Interstate 40 and the overlap of Interstates 24 and 65 around the north side of Downtown Nashville. 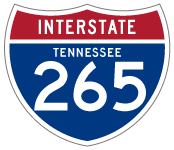 Interstate 265 in Tennessee was decommissioned on April 7, 2000, per an action by the Route Numbering subcommittee of AASHTO. 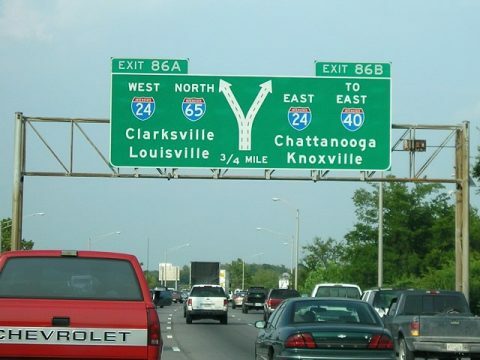 The route was renumbered as part of I-65 in an effort to better disperse through traffic around central Nashville. I-65 formerly overlapped with I-24 to the east of Downtown and with I-40 to the southeast. The reroute overtook I-265 to the north, and formed a new overlap with I-40 around the west side of the central business district. 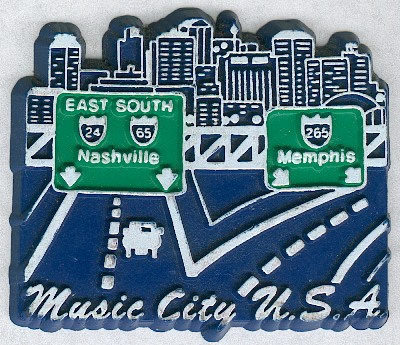 Music City USA magnet showing the split of I-265 from I-24/65 south purchased by contributor Jeff Morrison in 1994. I-24 east/I-65 south at the former northern terminus of Interstate 265. Photo taken by Kelly G. Kawamoto (07/93). 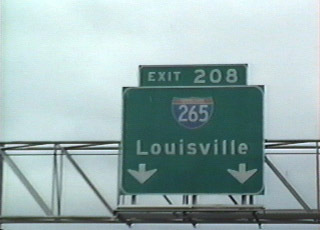 Northbound Interstate 65 (old I-265) approaching the directional T interchange with Interstate 24. I-24 combines with I-65 north for 1.8 miles. Photo taken by Jeff Morrison (08/12/05). 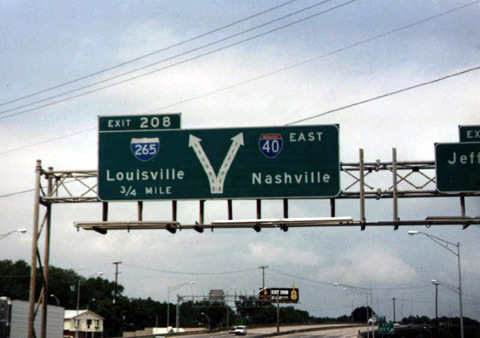 Interstate 40 approaching the three wye interchange with Interstate 265 north on May 25, 1995. Page updated February 2, 2019.